Made a great difference in my own pugs!! Helped the weight drop off! Great success using this formula. 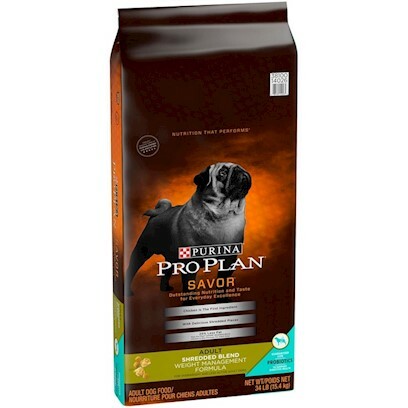 Outstanding dog food! My dog absolutely LOVES it!! Amazing food for weight reduction! Great product and ProPlan has incredible staff! Best weight control food there is! Good yes still manages weight. Perfect for food hungry overweigh dogs! Excellent product - the dogs love it! Weight Management or Feeding Less? Help My Dog Lose Weight! Freckles Trimmed Down and Looking Great!